As you probably know, Yes formed in 1968 from the ashes of The Syn and Mabel Greer's Toyshop, among others, initially as an organ-driven proto-prog outfit, displaying few of the era's psychedelic excesses. Yes (***½) is surprisingly hard-hitting for 1969, although Time and a Word (***), complete with orchestra, is slightly less impressive. 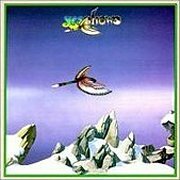 They really broke through, both musically and commercially, on '70's The Yes Album (****½), with the addition of ex-Tomorrow guitarist Steve Howe, lifting the band to a whole new dimension (quite fitting for the cosmic warriors that they were/are). It's sometimes quoted as their first 'Mellotron album', but keyboardist Tony Kaye considered himself an organist first and foremost and was apparently somewhat un-amenable to using any other keyboards, although he allowed himself to be persuaded to play a bit of Moog. Oddly enough, he played Mellotron with his next project, Badger (warning: their second album, White Lady, is not even slightly 'progressive', although it still manages to feature the 'Tron on a couple of tracks). 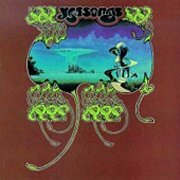 Several classics from The Yes Album found their way onto the live Yessongs from a few years later, although whether or not they're improvements I leave entirely up to you. In 1971, Rick Wakeman was lured from the Strawbs to join Yes, by then approaching their musical peak. Rick was more amenable to a multi-keyboard setup than his predecessor, so as well as his trusty Hammond C3, he was bought a MiniMoog and an M400. His first album for them, Fragile, has surprisingly little 'Tron on it, only cropping up on two of the album's tracks, bookending the record, but the eerie chords on Heart Of The Sunrise (under the bass-and-drum section following the furious intro) are stupendous. The album overall is a little bitty, with all five band members being given a solo track, probably to cover up the fact that they didn't quite have enough material, although Roundabout and Long Distance Runaround remain live favourites to this day. By the following year's superb Close to the Edge, however, Rick had gone completely 'Tron mad, with every part of all three lengthy tracks stuffed to the gills with strings, brass and the odd bit of flutes. Although the album's excellent throughout, And You And I is the standout from a Mellotronic viewpoint, with one of those moments; you know, the bit that has a vaguely 'western soundtrack' feel to it, with Howe's lap steel glissandos riding over the top. Also of note is the brass part riffing along with everything else on Siberian Khatru; a relatively rare use of 'Tron brass in '70s prog. Not to ignore the title track, of course, which may just be the finest piece of music to which the band ever put their name, with some wonderful volume-pedal 'Tron work. Absolute perfection, and one of those rare five star/five 'Tron albums. Utterly essential. 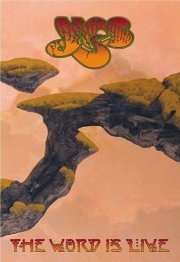 Yessongs is a sprawling triple album/double CD set (the excess! ), presumably featuring Yes' entire stageshow of the time. 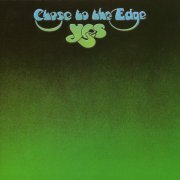 Despite following hard on the heels of Close to the Edge, it includes the whole of that album, along with most of the highlights of its two predecessors, Fragile and The Yes Album, with Rick being given a chance to show how he could interpret material on which he hadn't played originally. Well, his chief contribution seemed to be to add Mellotron to almost everything, including the brief section of Chris Squire's lengthy bass solo The Fish where the whole band comes in. In fact, the very first sound on the album after Stravinsky's Firebird Suite intro tape is the Mellotron strings intro added to Siberian Khatru for the live show. Rick also gets in some choirs during his solo spot, where he hams his way superbly through the Hallelujah Chorus from Handel's 'Messiah'. Sadly, he doesn't manage to get any into Howe's solo spot (! ), and Long Distance Runaround presumably just wasn't going to work, but the rest of the album is a 'Tron fan's (wet) dream. He even uses the choirs to bolster the band's rather shaky backing vocals on Close To The Edge... The only reason I've docked half a star from its rating is that listening to the whole thing in one go is pretty gruelling; it has to be said, maybe a double LP 'best of' the gigs might've been a more sensible option? 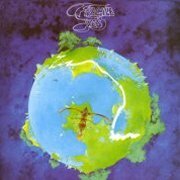 The sprawling Tales From Topographic Oceans is probably the album that divides Yes fans' opinions the most. Genius or stupidity? A double, supposedly 'concept' LP about, er, Ayurvedic scriptures or something, it makes Close to the Edge look like a lightweight pop album in comparison (not a good thing). Tales (no pun intended) abound of the band's excesses during recording, with cardboard cows and bales of hay being brought in to attempt to create a 'pastoral' feel in the studio. Yes, really. It's rather hard going, with an unfortunate dearth of decent melodic ideas; side one features precisely one good tune, which they at least manage to reprise a few times. Like Yes without the songs. I've been known to describe the album as 'rubbish' in the past; now I've come to terms with it a little, I'll commute that to 'underachieving'. It certainly has its moments, but they could very easily have been squeezed into a single side-long piece, not spread over 80 minutes, as they are here. Maybe if I played this absolutely to death I'd get into it more, but it doesn't have that initial 'punch' that makes you want to make the effort. Shame. Anyway, given that the music is essentially 'Yes but less so', Rick's Mellotron work is excellent. The Revealing Science Of God has none at all until about halfway through, when his trademark lush strings rise up through the mix, lifting the whole piece, which had just about hit the doldrums by that point. There's a very affecting flute melody further on, with some block chords following, before returning to a slightly less effective string part towards the end of the piece. The Remembering has some superb strings, which again lifts the piece from the musical quagmire in which it finds itself, with the album's first 'Tron choir section later on, after another excellent string section (so to speak), and is that a brass arpeggio I hear? The Ancient has a percussion-heavy intro, but Rick gets some 'Tron strings in before long, with a wonderful string part leading into a melody to die for, before another appearance from the choirs, and some almost solo strings. Towards the end of the track (after Howe's solo classical guitar part), there's a 'Tron sound I'm not sure I recognise; string section, maybe? It seems to have a multi-octave element to it, and certainly isn't regular strings played orchestrally. There may even be a brief cello part somewhere, although I wasn't aware that Rick had the sound on either of his machines. Ritual, seemingly fans' best-loved piece from the album, opens with some volume-pedalled strings, soon followed by what sounds like a brass part, not to mention one of Howe's two melodies ripped from Close to the Edge. Tut tut. Running out of ideas, are we? More string chords over the first really quite nice 'nous sommes du soleil' section, before reprising side one's good melodic idea, with brass and choir following towards the end, before the massed drum solo (yes, the album really is that excessive), over which he plays some superb semi-dissonant strings, just before the appearance of the detuned Moogs. More string chords to close, and that's it. Something I only noticed as the album drew to a close is how little you can hear Rick's Hammond; his mainstays seem to be multiple MiniMoogs and 'Tron. Maybe it was his/their attempt to finally break away from their organ-heavy past; I don't believe it was ever used as much in Yes again. Anyway, scholars of the band's work will doubtless argue the relative merits of Tales until the sun goes cold, or something; what is undeniable is that it's something of a 'Tron classic, with Rick getting some in (something he was always good at) whenever possible. I never thought I'd hear myself say this, but even if the music isn't entirely your bag, buy this for the Mellotron work alone. Masterful. The recording experience was apparently not a happy one for Rick, however; he was becoming increasingly estranged from the rest of the band and their lifestyles diverged. The band: macrobiotic wholefood. Rick: chips and beer. 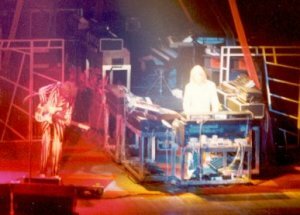 The ensuing tour led to one of the most infamous (and over-familiar) Wakeman anecdotes, where (on the remote offchance you haven't heard it before) he instructed his roadie to nip out to the local Indian takeaway halfway through the interminable Tales, by then probably in its hundredth or so complete on-stage rendition. Upon secreting said food below his Hammond, Rick tucked in while playing one-handed, until in an instrumental section, Jon Anderson turned round and in his best Accrington accent exclaimed, "Ee, I can smell curry!" (For those readers not familiar with the Lancastrian accent, the 'u' in 'curry' is pronounced as in 'book', which always lends the anecdote a certain je ne sais quois for some strange reason). Oddly enough, Rick left the band at the end of the tour... Rick left after the attendant lengthy world tour, where the band stubbornly and arrogantly played the entire album to bemused fans who hadn't even heard it yet, mainly because the tour started before its release. You couldn't make this stuff up, could you? Auditions followed suit, Vangelis failing his by insisting on playing the drums at some length (! ), although he and Jon Anderson were, of course, later to work together. The successful candidate was Swiss keyboard wunderkind Patrick Moraz, who split the rather good Refugee (seemingly an attempt to reform The Nice by any other name, minus Keith Emerson) to join Yes. Without further ado, the reconstituted band wrote and recorded Relayer, another 'difficult' album, though less so than its predecessor. The Gates Of Delirium is the darkest piece Yes have ever recorded, in my humble opinion (although still mostly major-key), but with war as its subject matter, that's hardly surprising, really. Moraz acquits himself well, playing the by-now traditional multi-keyboard setup the band's sound required, adding an Orchestron to the mix, although I find it hard to differentiate it from the Mellotron in places. Speaking of which, there's a few string chords opening Gates, and a bit of choir after the 'battle' sequence, before the strings on the beautiful Soon closing section of the piece, often played as a song (and released as a single) in its own right. Sound Chaser shows the band's jazzier side, particularly during the intro, and features a Steve Howe solo electric guitar piece displaying all his influences thrown into one two-minute burst, played over the first appearance on a Yes album of a string synth. More strings here, although To Be Over has a more upfront strings part, rounding the album off nicely. After touring the album, Moraz left, making way for... Rick Wakeman, on the first of his many returns to the fold. What was that about not being able to make this up? 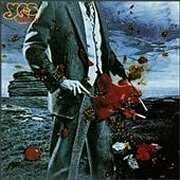 Rick rejoined Yes (for the first time of many) for the recording of Going for the One, so managed to be in on the making of their last classic album. Saying that, it's not in the Close to the Edge league, but still has some great moments, of which the greatest is album closer Awaken. Apparently Rick was using his 'double Tron' at the time (the one that survived the later, er, 'conflagration'), and uses choir, flutes and strings on the track, though all sparingly. There's also a real choir involved, just to confuse the issue, but there's definitely a bit of the real thing (?!) in there, too, plus a couple of rising chords on Wonderous Stories. Tormato isn't quite the dog it's usually made out to be, although it's rather 'Yes-lite', with Circus Of Heaven easily capable of instigating mass-murder with its appalling tweeness (bet Anderson's son cringes at its very mention these days after his guest spot). The Polymoog work is actually pretty good, given that there were already better polysynths out there; at least he doesn't just use it as a glorified string machine, although it's obviously replacing his massed MiniMoogs. 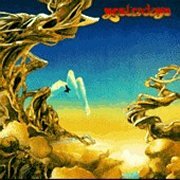 The Future Times/Rejoice segue and the quite uncompromising Arriving UFO are genuinely good, but there's far too much fluff (the aforementioned Circus Of Heaven and Don't Kill The Whale) or just plain averageness (the, er, 'rocking' Release, Release) for the album to be particularly rated by Yes fans. As for the Birotron, Rick used mainly strings, although a choir chord closes Rejoice and that may be flutes on the horrible Circus Of Heaven, or is it Polymoog? Hard to tell. The two Birotronless songs both feature a real string section, proving the need that much of Yes' music has for the sound, brought to a climax over twenty years later with 2001's orchestral world tour. After Rick and Jon's shock departures (well, a shock in Jon's case), Yes were manoeuvred into their bizarre liaison with Geoff Downes and the diminutive Trevor Horn from Buggles (Yeggles? Bus? You couldn't make it up, could you? Again), for the underrated but actually rather good Drama, an album much-maligned by Anderson diehards. 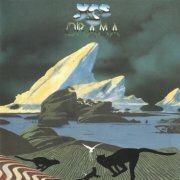 I seem to remember it was slated at the time by Horn as being the album where (and I probably mis-quote), "I tried to drag Yes forward into the '80s; they dragged me back into the '70s". Well, what did you expect, Trev? Anyway, you got your chance on their 'love it or hate it' '83 reformation album, 90125 (****) and it actually worked, although many prog purists would crucify me for saying so. Anyway, Drama opens with uncharacteristically heavy Howe guitar work, featured on several tracks and, despite featuring hints of Buggles' pop sensibilities, actually works pretty well overall, with longer tracks on average than on its predecessor. Amusing to note that the slightly pompously-titled Into The Lens became the cheesier and more commercial I Am A Camera in Buggles' hands, after Yes imploded and they recorded their second and last album together, Adventures in Modern Recording. That has to be Mellotron choirs on opener (and best track?) Machine Messiah, although despite a couple of other 'is it?' moments, I believe that's it. Of course, the band fell apart at the end of their only tour with this lineup, towards the end of which Howe and Squire regularly openly took the piss (allegedly) out of Horn's brave but futile attempts to match Jon's voice on the older material. Speaking of which, he actually sounds a lot like Jon on the album, which was probably a mistake, but you live and learn... After the split, Horn went on to be a world-famous producer after Buggles' last gasp, Downes rejoined forces with Howe in the lamentable but fantastically popular Asia, while Squire and White licked their wounds, recorded the odd track together and instigated the legendary XYZ (Ex-Yes and Zeppelin project with Jimmy Page), the results of which have still to see the light of day, 25 years later. From 2003-4 the band's earlier catalogue was given a major overhaul, with the remastered discs of a few years earlier given fresh packaging and bonus tracks all round, making these the third CD issues... Fragile got the New Age of Atlantic/Yesterdays version of America, placing it in its correct historical context, and an early rough mix of Roundabout. Mellotron on both, with Roundabout being essentially the same recording as the version we all know and love, and America having some previously-unspotted cellos as well as the strings. Close to the Edge got the single edit of the same version of America, a bizarre single edit of part two of the title track, Total Mass Retain (why not abbreviate Siberian Khatru? ), and early and reasonably different versions of both tracks from side two, both with Mellotron parts similar to their final versions, though sometimes more upfront. Tales (always a double-CD set anyway) gets a slightly longer version of opener The Revealing Science Of God, and early run-throughs of sides one and three, using their subtitles Dance Of The Dawn and Giants Under The Sun. I'm not sure if there's any more 'Tron than on the finished versions, but it's certainly more obvious, lurching in unexpectedly, rather than fading in smoothly. 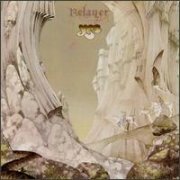 Relayer adds the Gates Of Delirium single edit Soon, Mellotron melody intact, with nothing on the single edit of Sound Chaser and odd string chords on the studio run-through of Gates. Going for the One's extras include several tracks previously available on the Yes Years set, plus rehearsal versions of four of the album's five tracks, including an early Awaken with more Mellotron (albeit largely in the background) than on the finished product. 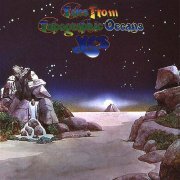 Tormato's bonus tracks are actually the major pleasant surprise of the whole reissue programme, not only adding Yes Years' contemporaneous tracks, including the very odd Money, complete with Dennis Healey-alike (British Chancellor of the Exchequer at the time) 'party satirical broadcast' in the background, but a whole slew of previously completely unheard tracks, such as the lovely Anderson a capella piece Days, but also full band recordings such as Some Are Born and Everybody's Song, an early version of Drama's Does It Really Happen, complete with what sounds like Mellotron, not Birotron. Assuming it is actually Birotron strings on You Can Be Saved, it must be the most audible recording ever made of the instrument, proving the general point that it never sounded very good. Drama is equally blessed with extras, not least several tracks from the aborted '79 sessions (often known as Golden Age), although not the one already available on the monstrous In a Word box set, of course... No Rick Birotron here, as he sticks to polysynths, and while the material's actually a lot cheesier than anything on Drama, it's good that it's (mostly) finally available. In 2005, Yes finally gave their audience what it had been craving for years: a three-disc live set, The Word is Live, spread across their career, stopping just before the ABWH interregnum in the late '80s. Overall, the quality is excellent, both musically and sonically, which has the unfortunate side-effect of leaving the listener wanting more, despite the unlikelihood of its appearing. Only two tracks have been released before, with Then and For Everyone, both from 1970, appearing on Something's Coming, reissued as Beyond and Before a few years later. The rest of the first disc (up to their version of the Young Rascals' It's Love) all feature the short-lived Howe/Kaye lineup, and are as organ-heavy as you'd expect. 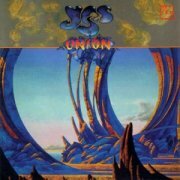 Presumably due to the glut of first Rick-era material available on Yessongs, the set skips straight to Moraz' tenure, complete with the Mellotron seemingly missing from Relayer. Apocalypse is an intro tape segueing into a brief burst of And You And I, sans Mellotron. Siberian Khatru has him playing Hammond instead of Mellotron brass and while the strings crop up a few minutes in, it's hard to tell what's generating the flutes. Relayer's Sound Chaser has Mellotron strings and cellos instead of the album's (presumed) Orchestron; had Moraz actually managed to find a keyboard even less reliable than the usual badly-maintained Mellotron? There's what sounds like a few seconds of strings on their strange backwards glance, Sweet Dreams, and that's it. Now, I have an interesting piece of information regarding Moraz' Mellotron: he had one keyboards'-worth of 'effects', rangeing from fast Hammond runs to God knows what else, so there may well be more bits of Mellotron in the above tracks, not to mention his contributions to Yesshows. Then again, while these were effects triggered from a real live M400, they could hardly be said to be 'playing', so I'm not going to get that hot under the collar about it. There's about a disc's-worth of second Rick-era, spread over discs two and three, including several tracks from '79, some featuring (assuming that word is actually appropriate) his much-maligned Birotrons, giving us a rare opportunity to hear this fabled instrument properly. And it sounds like... a poorly-maintained Mellotron! Murky and distant, its low-fi reproduction is all too apparent on the string parts on Heart Of The Sunrise, with some muddy choir on Awaken. We're spared its input on Roundabout and '78's lengthy Big Medley, with none of the excerpts featuring any Mellotron originally, while the ridiculous Hello Chicago (what it says on the box, basically) has little musical content of any kind, leaving the Future Times/Rejoice pairing holding the fort with more of those insipid strings. I refuse to actually comment on their decision to include a version of the hideous Circus Of Heaven, except to say there's no Birotron on it. Despite the booklet pic of Geoff Downes with an M400 in his rig, it's nowhere to be heard on the three 1980 tracks; I expect he only brought it along for the older material. Sidestepping the 90125 tour, the last four tracks are from 1988's Big Generator outing and are, obviously, Mellotron-free. So, what's missing? Anything from the Topographic tour, ditto Rick's last Mellotronic outing in '77, robbing us of the opportunity to find how much he actually played on Awaken. A few more Yeggles tracks might've been nice, although we do get almost four hours of unreleased live Yes here, so shut up, Thompson and appreciate the set for what it is. 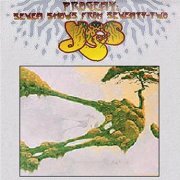 Just when you thought it was safe to go back in the water... 2015's monstrous Progeny: Seven Shows From Seventy-Two is a (deep breath) fourteen-disc set, comprising the seven dates recorded across North America on their Close to the Edge tour, from which part of Yessongs was extracted. Fourteen bloody discs? Yep, seven complete gigs, with the same setlist every night. A difficult listen? If taken in one hit, of course, unless you're such a fanatic that you only listen to Yes' music anyway (believe me, they're out there). However, spreading it out over a few weeks is actually a quite rewarding experience, noting the little differences from night to night, particularly in encore Yours Is No Disgrace, both the messing about at the beginning and the jammed-out middle section. Is any one night a cut above the others? Possibly the last of the seven (and the tour, going by Jon's audience chat), the band pulling out a ripping performance that, I'm quite sure, must have provided a couple of tracks for Yessongs, although I'm not enough of an obsessive to actually work out what was and wasn't used. Rick uses his Mellotrons (strings/brass/choirs/flutes/sound FX) on six tracks on every performance, in the expected manner, while some versions of Roundabout have a short burst of brass or choirs at the end. Set six features a few seconds of strings on encore Yours Is No Disgrace, but Rick really goes for it that last night, playing strings and choirs for a good minute during its extended intro, not to mention more strings further along. Do you bother with this? How much do you love, not just Yes, but live Yes? I can see the appeal to the die-hard, but the rest of you will be perfectly happy with Yessongs, I think. So, what to buy? The committed Yes fan will already own everything here of course, but for those of you new to the band (can there be any? ), my personal recommendation would be The Yes Album, Fragile, Close to the Edge (natch) and Going for the One, after which I'd exercise caution. For the Mellotron, though, I'd have to say the four-album run of Fragile, Close to the Edge, Yessongs and Tales, with maybe Tormato for the Birotron, then Yesshows, with Going for the One and Drama for Mellotron completists. Yes have been a very confused entity since the mid-'80s (er, that's over thirty years now...), with lineups coming and going, then coming again, only to re-coalesce out of nothing before spinning back there before anyone's really noticed. The Ladder was their second album since the strange tale of the Keys to Ascension CDs, following '97's truly awful Open Your Eyes and would you believe, it's really quite good? The band seem to've rediscovered writing at least the occasional killer melody, with a brief instrumental hook after the chorus of It'll Be A Good Day (The River) to die for, and several other fairly decent tracks, as long as you're not actually expecting a straight copy of their 'classic' albums'. Russian wunderkind Igor Khoroshev plays Mellotron samples on the album (introduced to the band by Strange Advance's Drew Arnott, an associate of producer Bruce Fairbairn), the first time the band had used such sounds for around twenty years. The choir part on Homeworld (The Ladder) would be impossible to play on a real 'Tron, but sounds great, Lightning Strikes features some MkII flute rhythms/fills and New Language goes for the old MkII strings; just a shame they didn't decide to source a real instrument for the sessions. So; a remarkable (semi-) return to form, although its successor (and, to date, last album), Magnification, is pretty lacklustre in comparison. Pity. Anyway, worth buying for the hesitant Yes fan, and some reasonable fake 'Tron to boot. Unfortunately, given all the expectation, the same can not be said for 2011's Fly From Here, the band's first studio outing in a decade, not helped by some major lineup, er, 'issues'. As I'm sure you're all well aware, Anderson left the band around 2009 due to health issues, replaced by Québecois Yes tribute band vocalist Benoît David, while Geoff Downes and Trevor Horn returned, the former on keys and the latter in the producer's chair. The end result sounds a lot like you'd expect: a pastiche of Yes, with far too much pseudo-commercial guff and far too little material of any real substance, like a pale shadow of The Ladder, which is in turn, let's be fair, a pale shadow of their best work. It has its moments, not least Howe's solo Solitaire, but I can't honestly say that the 'rescued' 1980 Buggles piece rewritten as the six-part, twenty four-minute title track is particularly worth the price of admission. On the fakeotron front, it's hard to say whether the brief burst of solo strings on Fly From Here, Pt III - Madman At The Screens started life Mellotronically or not, but the choirs later in the track and on closer Into The Storm certainly did, for what it's worth, which isn't, frankly, very much.